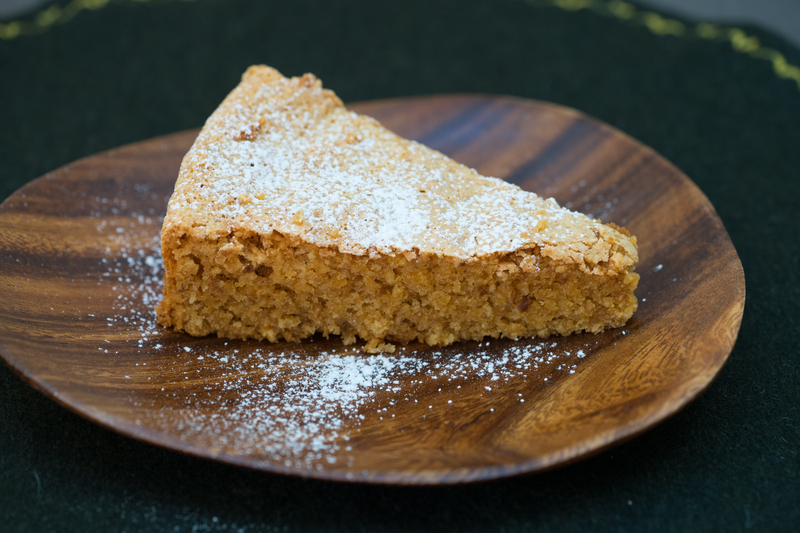 It is difficult to believe that 3 ingredients can make such an amazing cake. Of course, as there are so few, the flavour of your hazelnuts will be the most important factor in the success of this cake. 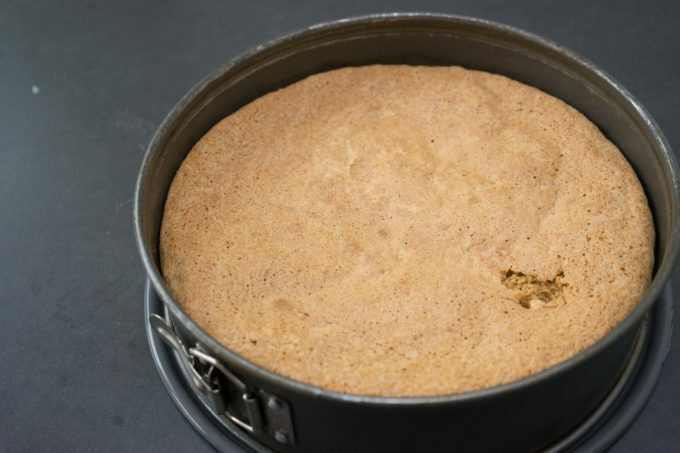 Piedmontese hazelnuts are renowned for their flavour but just find a nice tasting hazelnut for this cake. I like to serve this cake with a dollop of whipped cream and some pears sautéed in butter, honey and vanilla. Preheat the oven to 160C. 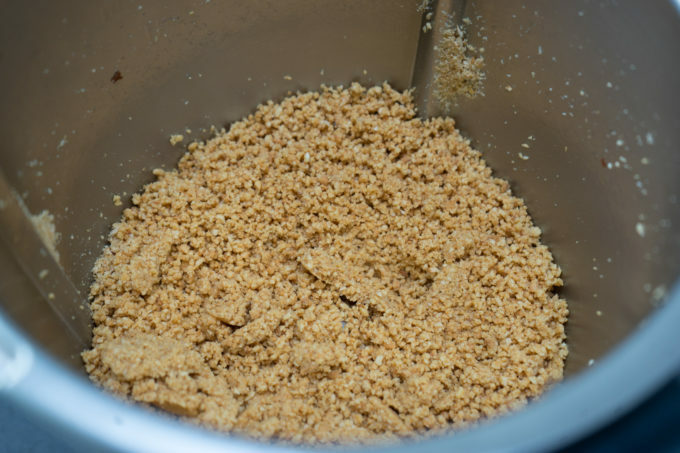 Chop the hazelnuts finely, being careful not to over grind them and make hazelnut butter. 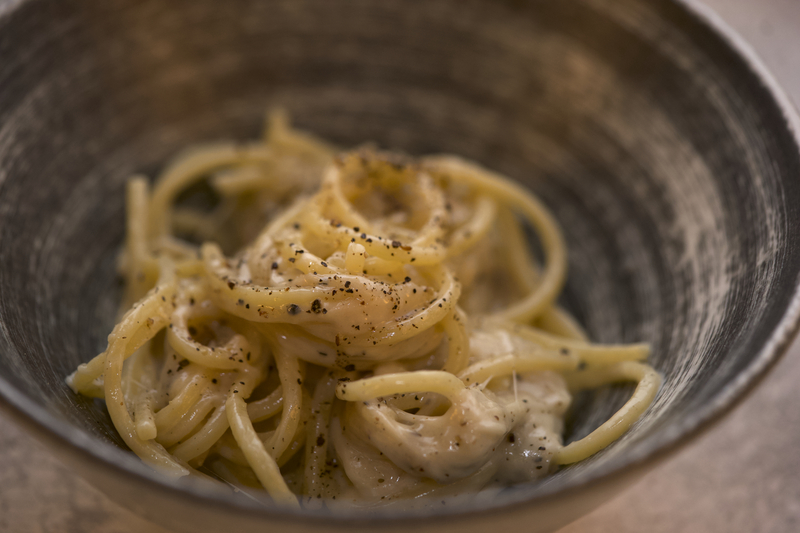 Whip the egg yolks with the sugar in a mixer on medium speed until it has doubled in volume and turned a light golden colour. 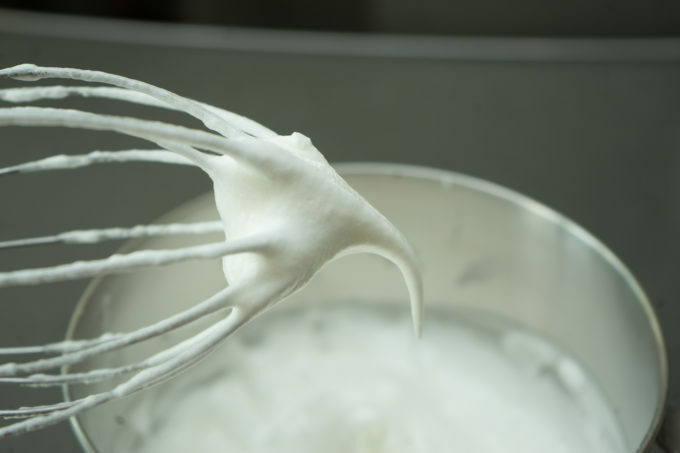 Whip the egg whites together in a mixer over low speed until foamy. 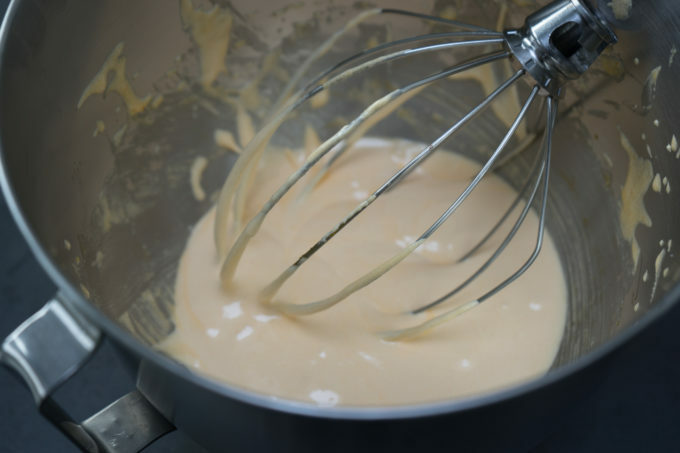 Increase the speed on the mixer until fluffy and white and you start to see the beater marks remain in the foam. 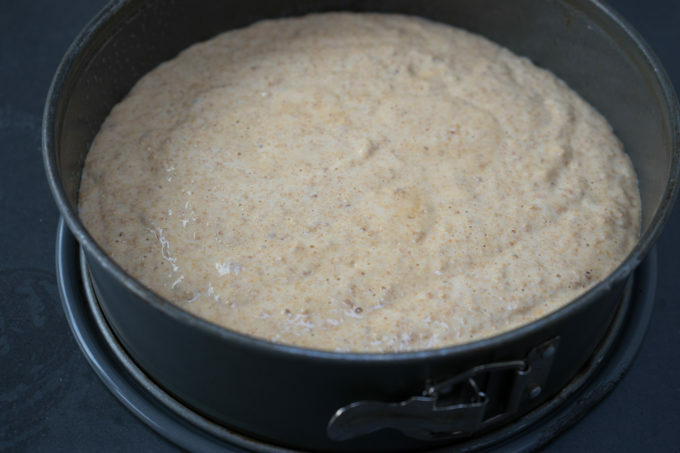 Dip the beater in and pull it out to see if a foamy peak forms and folds over on itself (soft peak). Be careful not to over beat the whites until they look dry. 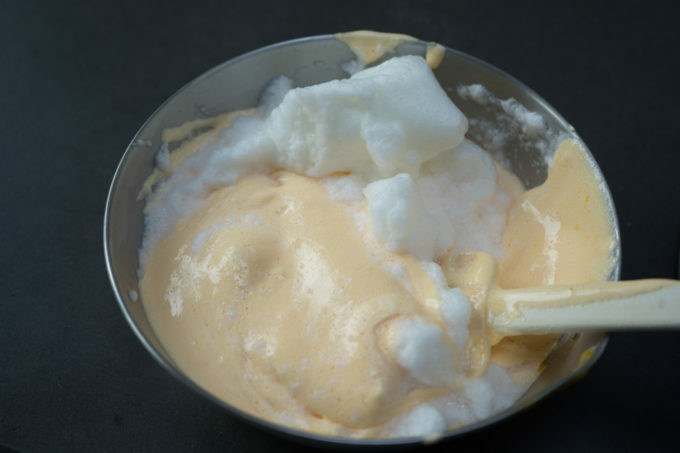 Add ⅓ of the egg white mixture to the egg yolk mixture using a spatula to fold them together. Be careful when mixing not to lose the air that has just been beaten in. 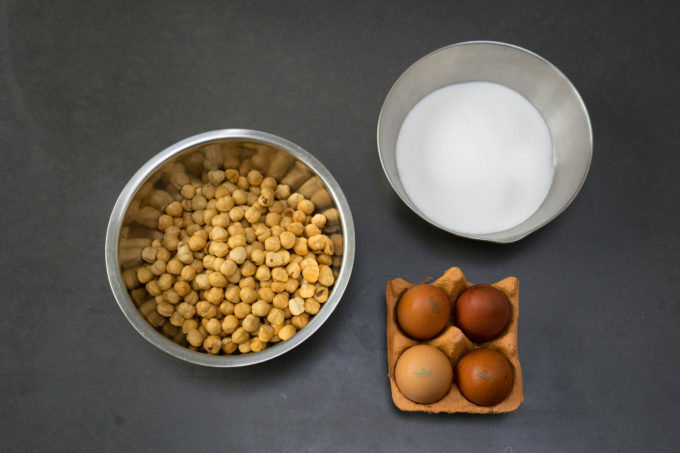 Add the rest of the egg white mixture and the chopped hazelnuts, folding in gently with the spatula, ensuring that even the bottom of the bowl is well combined. 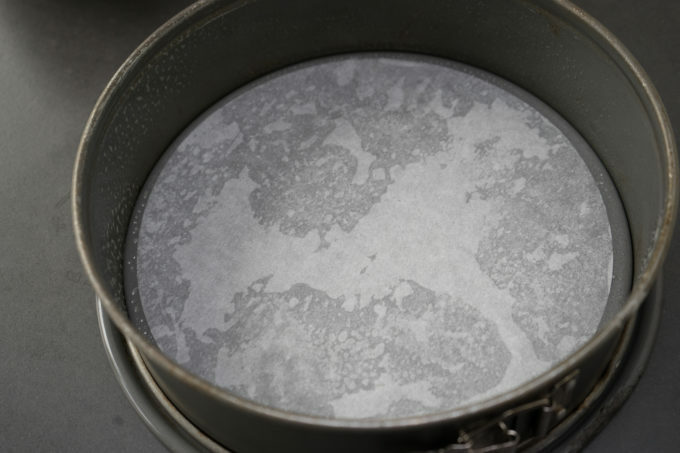 Grease and flour or line with paper a cake tin. Bake for 35 to 40 minutes or until set. To remove the skins of the hazelnut, place in boiling water for 1 minute, drain the water and place the hazelnuts in a tea towel. Rub the hazelnuts in the tea towel until the skins come off. 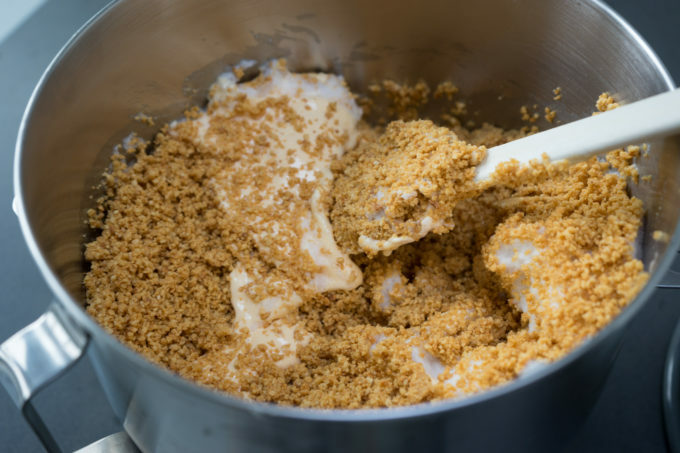 To toast the hazelnuts, place on a baking tray in a single layer in a 160C oven for 10 to 15 minutes until golden.